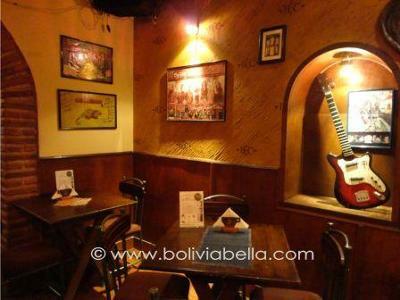 Bibliocafe Concert in Sucre Bolivia is located next to Bibliocafe and the two should not be confused. 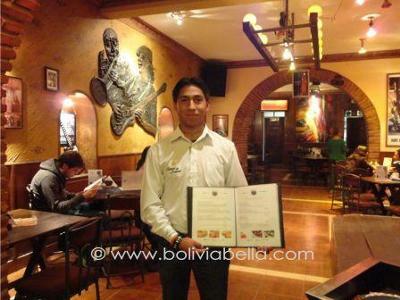 Bibliocafe Concert is a new and modern cafe located directly across the street from the central plaza cathedral. 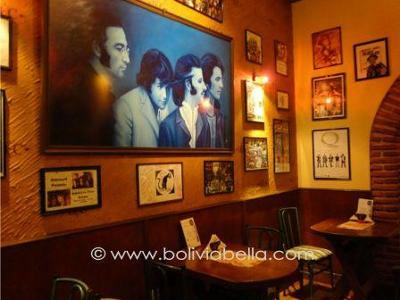 This cafe, bar and restaurant offers both Bolivian and international foods including a variety of pastas, and its big attraction is live music on weekends. Bibliocafe Concert also has a full bar area. 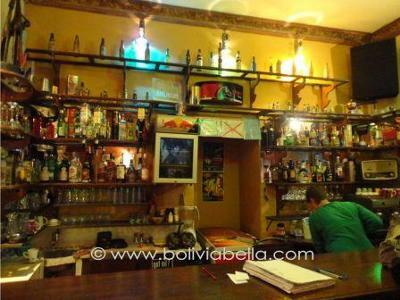 It is open from 6:00 p.m. to 3:00 a.m.